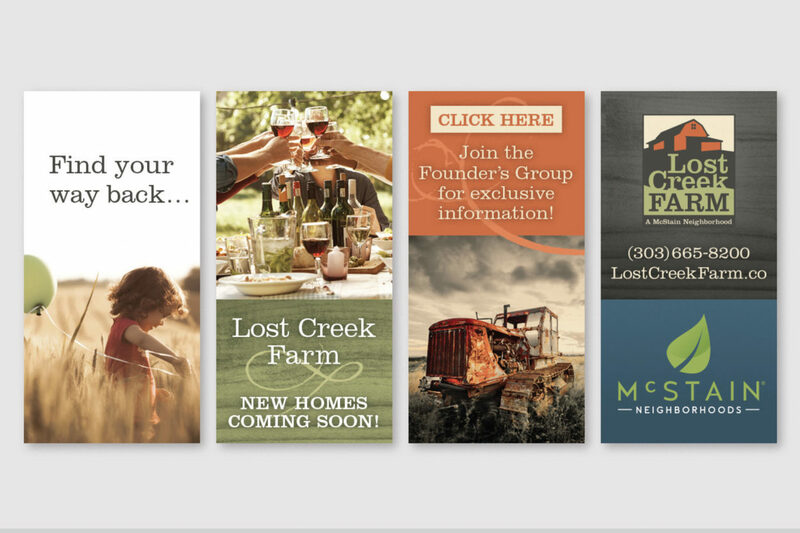 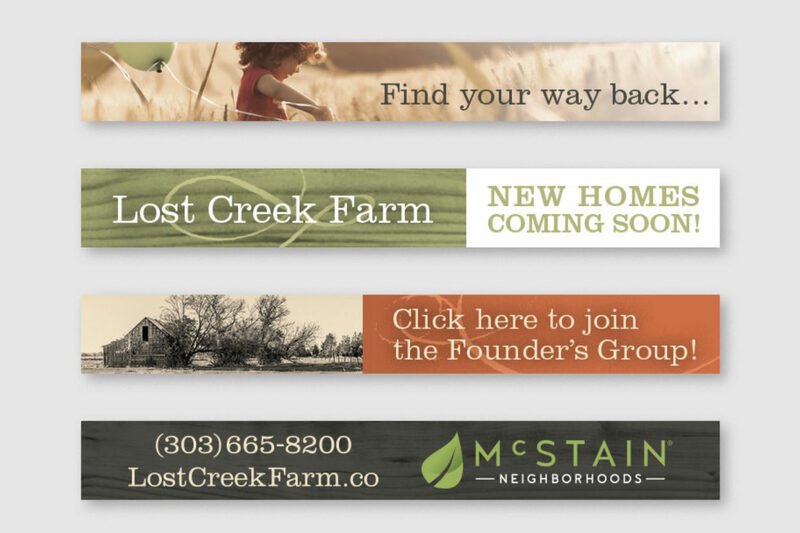 Challenge – Create a brand that is congruent with the new modern look of McStain Neighborhoods for a community that is in an obscure but desirable location. 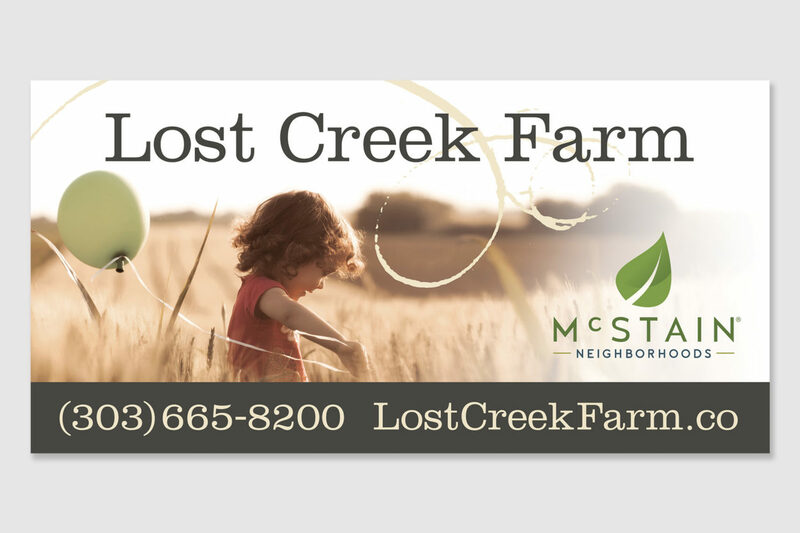 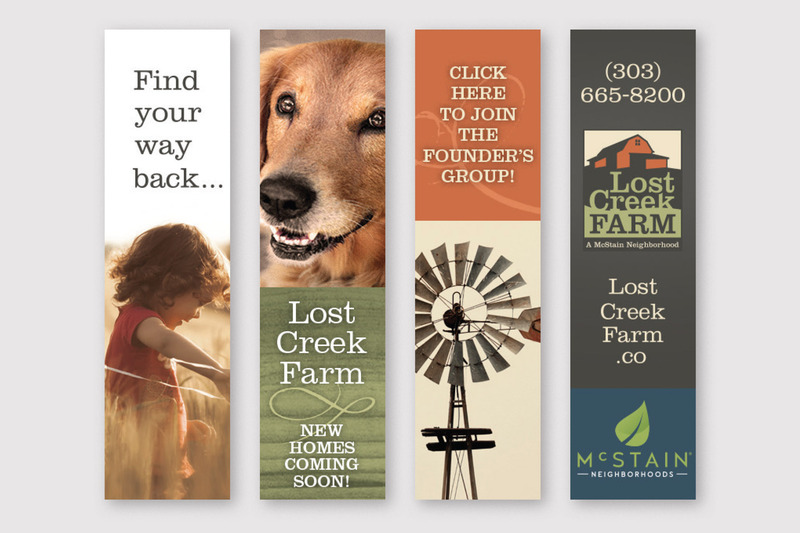 Result – Located off of County Line Road in Erie, Colorado, Lost Creek Farm created a challenge for us that ended up turning into something remarkable. 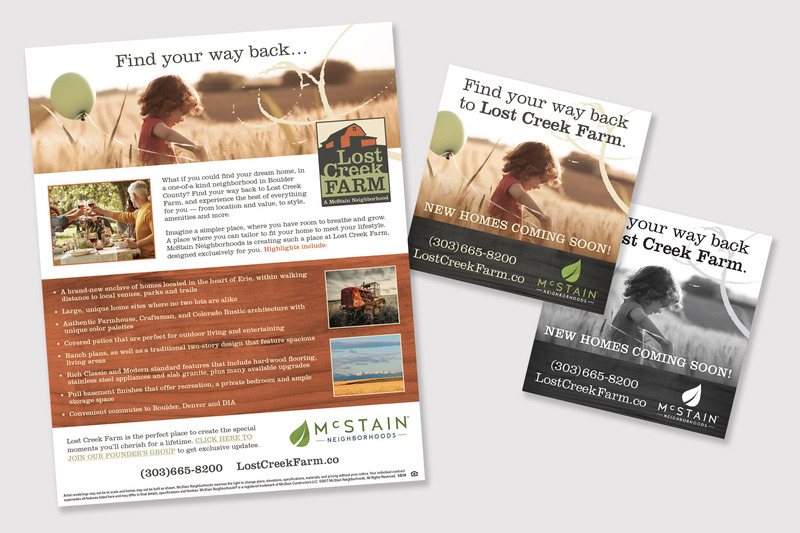 There’s history all around Erie and we wanted to create that sense of ancestry with the tagline of “Find Your Way Back”. 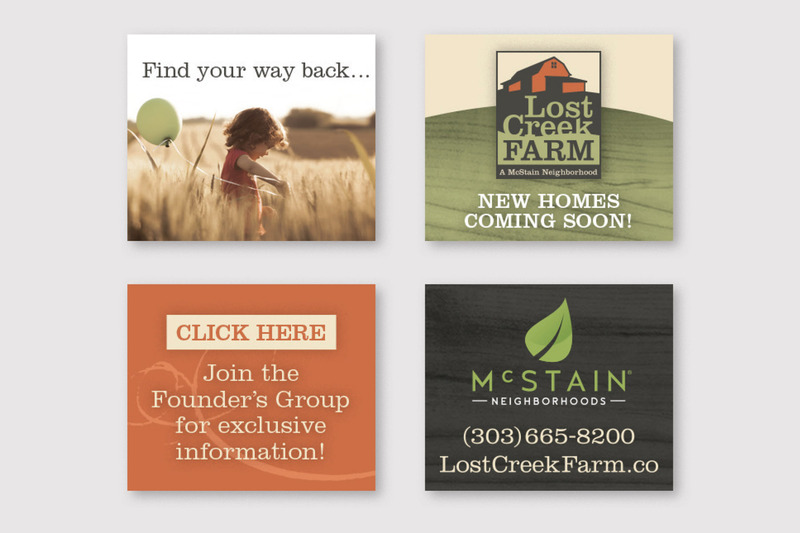 The logo has those deep rustic colors that you would find in farm country. The website and a successful drip email campaign has brought in the interest of many potential buyers.